PDP Mechanical and Electrical offer a diverse range of fabrication services, including gates, railings, balustrades and fire escapes. We offer a supply and installation service and are large enough to accommodate the most demanding requirement but small enough to care for our clients on a one to one basis. We have built up an excellent reputation throughout the West Midlands region for producing high quality work. Our customer service is second to none and we go out of our way to make sure everything is to our client’s satisfaction. Whatever your metal work requirements we can deliver. From small truss brackets to fire escapes and everything in between. If you need something repaired or built get in touch. At PDP Mechanical and Electrical, we will create your gates and railings to the design of your choice. You can bring your gate or railing design to us and we will fabricate your design in steel. All of our work is made to the highest standards and quality and you will be hard pressed to find better steel fabrication services in the West midlands region. Our fabrication engineers are highly skilled and have numerous years of experience fabricating gates and railings to customer specifications. Whatever your gate or railing design, we are sure to provide the quality workmanship you need for the job. 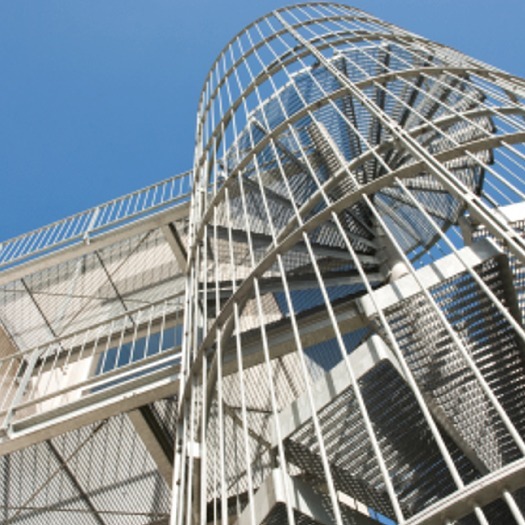 Our steel staircase and fire escape fabrication is engineered to our clients needs and can be made to suit commercial or domestic use, offering high quality steel fabrication suited to each job. Whatever the job description, we will fabricate steel fire escapes and staircases of the best quality, from functional escape routes to feature staircases that can enhance the appearance of your home. We provide steel fabrication services for our customers and will be able to create a staircase or fire escape that is perfect for your building specifications. Your satisfaction is important to us and our engineers are highly skilled in steel fabrication, delivering the best quality work possible across the West Midlands. PDP Mechanical and Electrical Ltd. are accredited and approved to all necessary standards to carry out all building, electrical and gas work, complying to all safety regulations, whist offering total peace of mind. We are CHAS accredited, members of Constructionline and TrustMark approved.